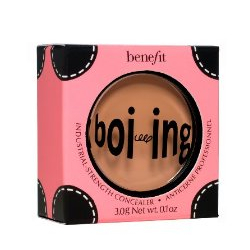 I’ve not stopped raving about this product since borrowing my friends Boi-ing on Friday night as we were getting ready to go out. A good concealer has always been a make-up essential for me, under eye bags are an understatement and I’m prone to blemishes too but this industrial strength concealer works wonders. Like all Benefit products it’s not cheap, retailing at £16.50, but a little goes a long way-you dab this on with your fingers. It comes in 3 shades, so should suit most skin tones too.